Železná studienka – This is a fun place to spend the day. There are many hiking trails and lakes and of course picnic areas and parks for kids. To get there take trolleybus 212 from Hodzovo namestie to Patronka, from there take bus 43 to Železná studnička. Koliba and the Kamzík TV Tower – Also a popular skiing spot in the winter, during the summer make the hike up to the TV Tower. Koliba is only 10 minutes from the city centre and is a great place to get out of the city, barbeque, and relax in the peace of the forest. 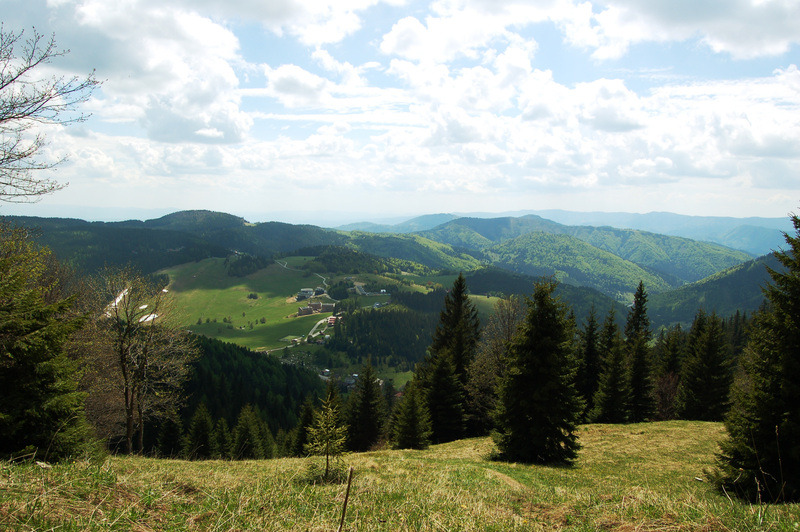 During the summer you can take a chairlift to Železná studienka. If you’re feeling a bit adventurous then try your hand at Lanoland, a rope course with obstacles and zip lines. To get to Koliba take trolleybus 203 from Hodzovo namestie to Koliba. Strkovec Lake or Strkovecke Jazero, Bratislava – A man-made lake popular with sunbathers, swimmers, and runners alike in the Ruzinov neighbourhood of Bratislava. In the summer take advantage of the volleyball courts, tennis courts, trampolines for children, and why not rent some Segways to zip around the lake. In the winter try your hand at ice-skating. 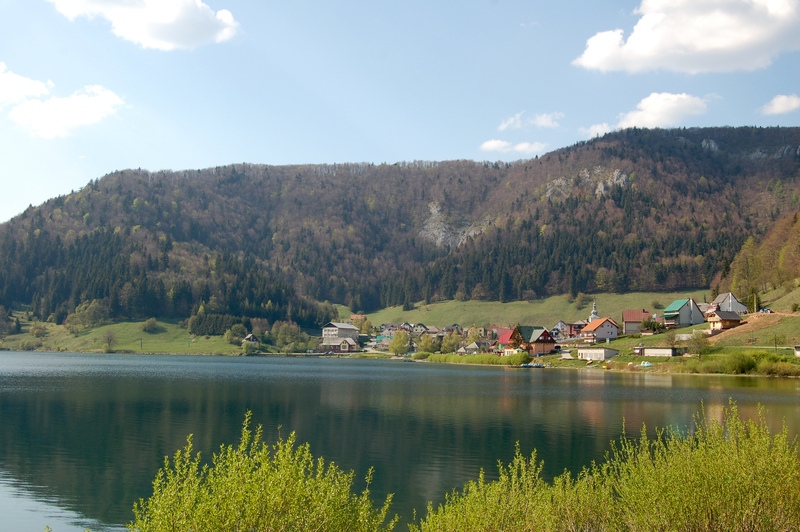 To get to the lake take tram 9 from Obchodna (near the historic centre). Bratislava Zoo – What’s to say? It’s a zoo. And a DinoPark! (Admission: summer 4.50 EUR, winter 3.50 EUR) Depending on where you are, take city buses number 30, 31, 32, 37, 39, or 92 bus stop “Zoo”. 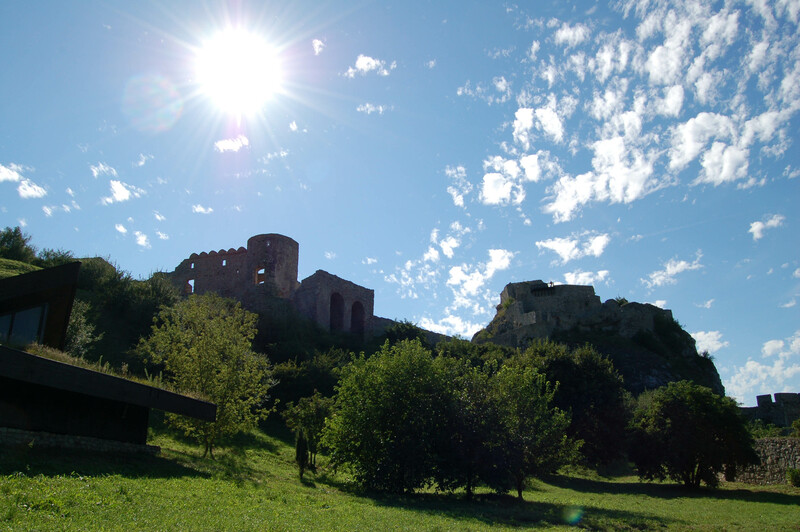 Devin Castle – Only 10 km from Bratislava city centre, Devin Castle offers panoramic views of the area. Devin lies in ruins after being destroyed by Napoleon, and is considered a national symbol. 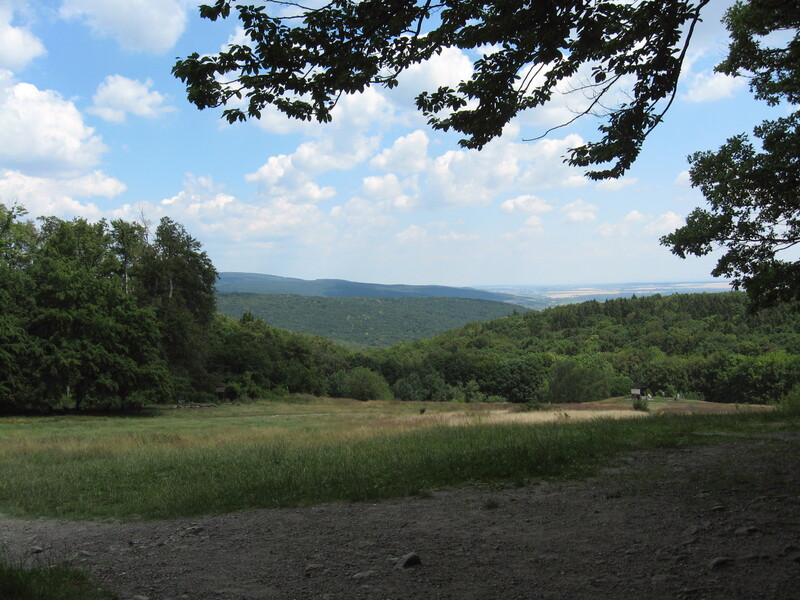 If the weather is nice, it is possible to hike to the castle: take bus 83 from Hodzovo namestie to the Zatevna stop, walk to the old church (about 10 minutes), from there follow the yellow-marked hiking path to the castle. (Admission: about 1.50 EUR) Take bus 28 or 29 (weekdays only) from Most SNP, or take a boat along the Danube (return 8 EUR)! 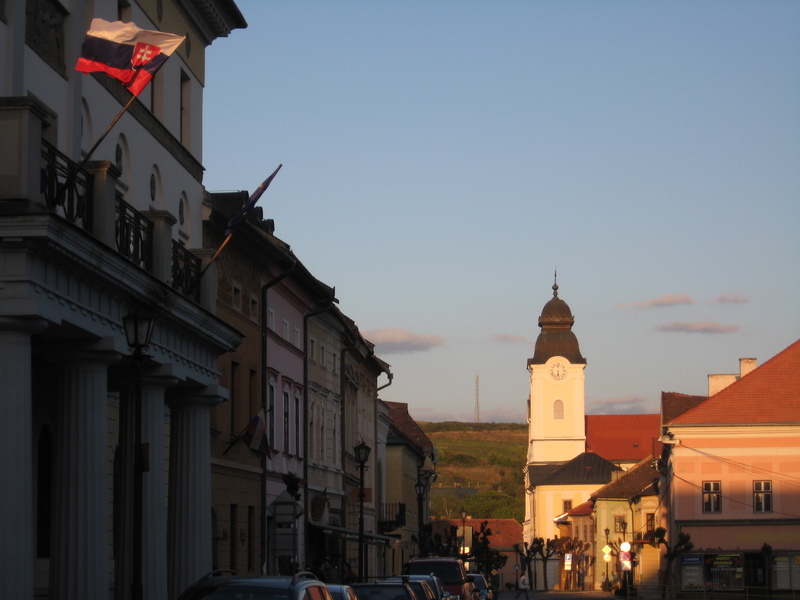 Modra – Home to Ľudovít Štúr: leader of the Slovak national revival, and champion of the contemporary Slovak language. 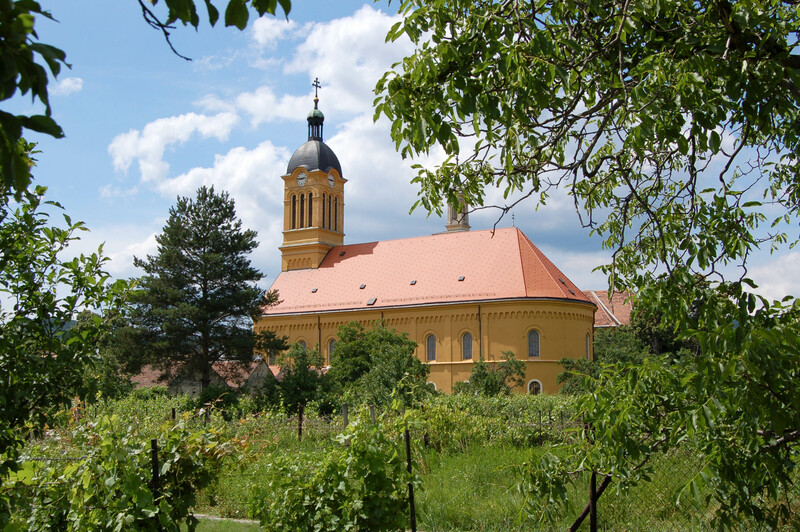 Modra is also Slovak wine country. Take a leisurely walk around the city and wander through the vineyards. If you would like to taste the wine, simply ring the bell on the house. Modra is a one-hour bus ride from Bratislava’s main bus station (1.65 EUR). 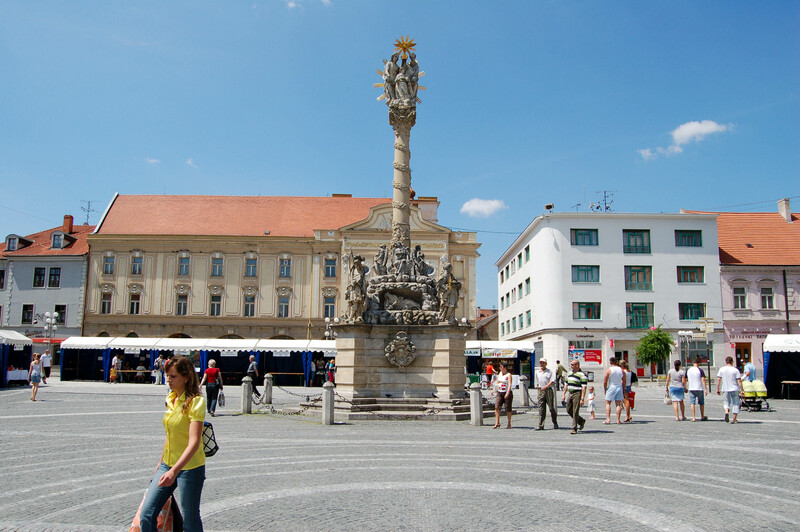 Trnava – Trnava is nicknamed “Little Rome” because of the many churches throughout the city centre. 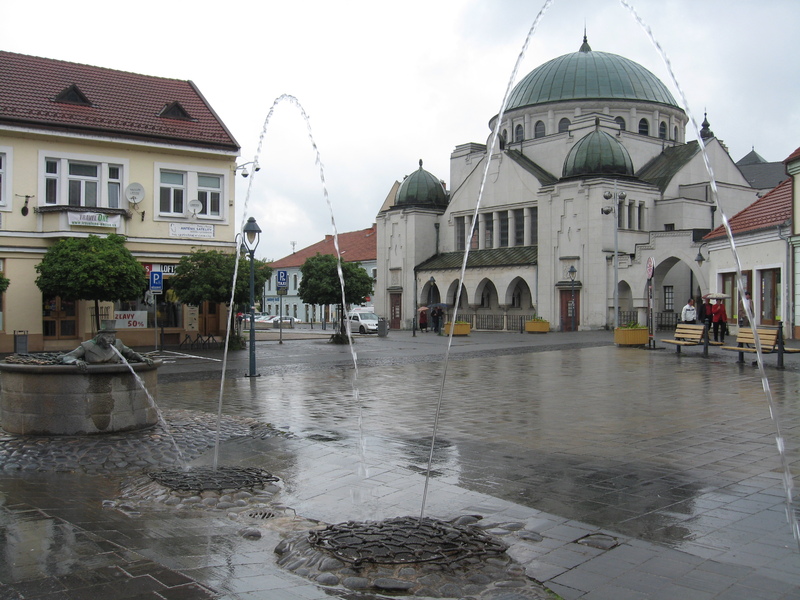 Trnava is a beautiful, well-preserved, historic city to visit. A perfect day trip from Bratislava. Trnava is a one-hour train ride from Bratislava’s train station: Hlavna Stanica (2.20 EUR), or a one-hour bus ride from Mlynske Nivy bus station (2.75 EUR). 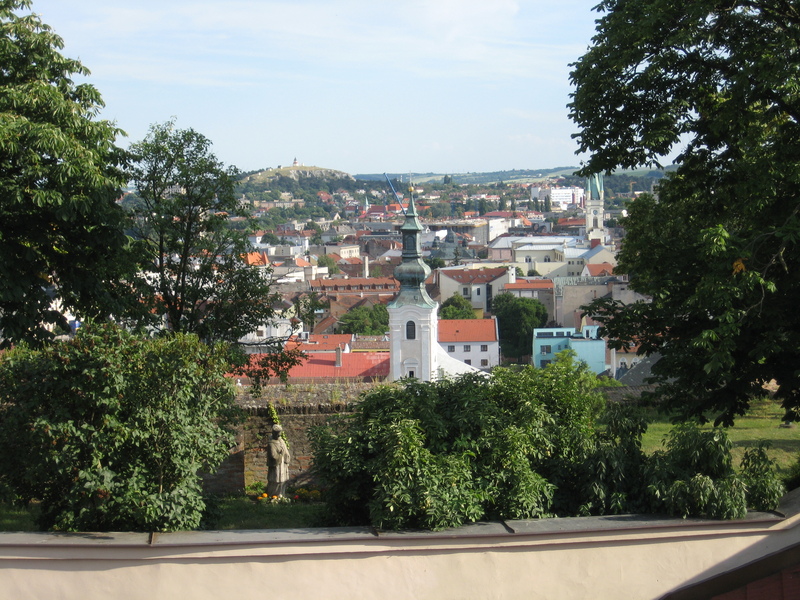 Nitra – Take a walk to the castle and marvel at the massive walls, then climb up and enjoy the view. 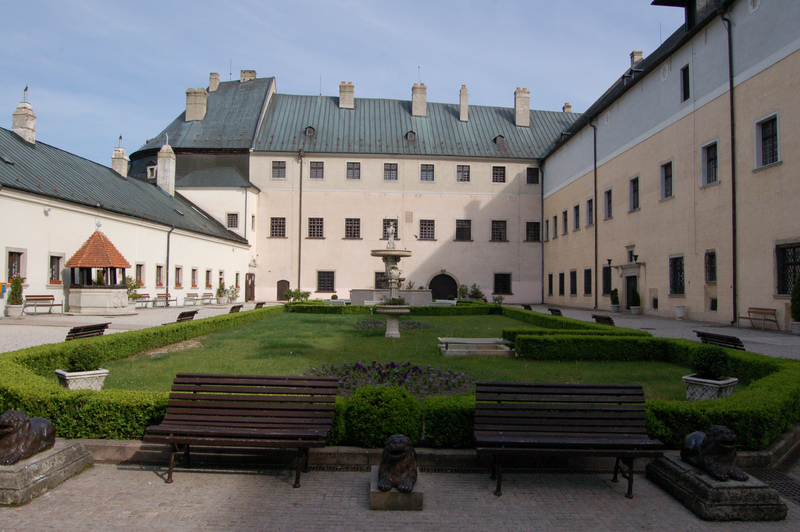 There are many things to see in Nitra; take a look at the city of Nitra’s website for some options. Nitra is a 90-minute bus ride from Bratislava’s Mlynske Nivy bus station (4.50 EUR). Red Stone Castle or Hrad Červený Kameň – Built around 1240, Cerveny Kamen (admission 6 EUR, English tour 7 EUR) is a well-preserved castle in beautiful grounds. Bring a picnic! Take a bus from Bratislava’s main bus station (90 minutes) to the town of Casta and walk to the castle via a well-marked route. 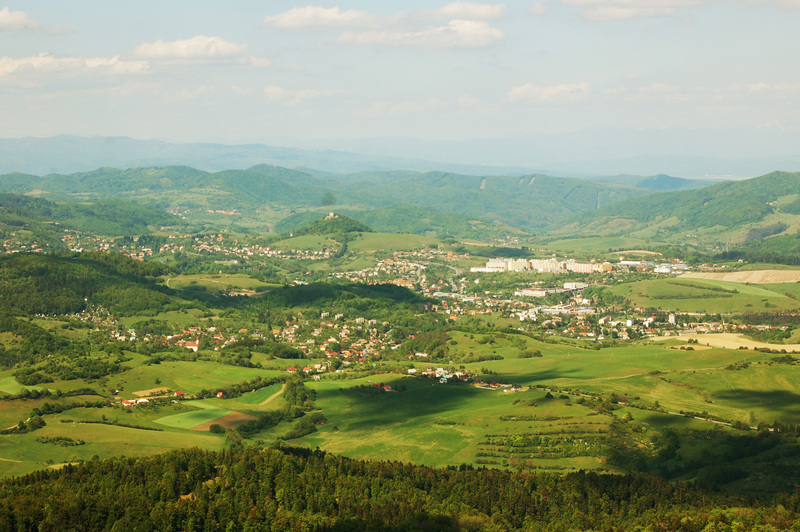 Trenčín – Trencin is arguably one of Slovakia’s most beautiful towns. The castle (the third largest in Slovakia) hangs over the city and is visible from the town square. In the rocks below the castle is a famous Roman inscription dating from 179 AD; it is the most northern evidence of Roman soldiers in Europe. The inscription can be viewed from within the Hotel Tatra. Take a train from Bratislava to Trencin, 90 minutes, 5-7 EUR. 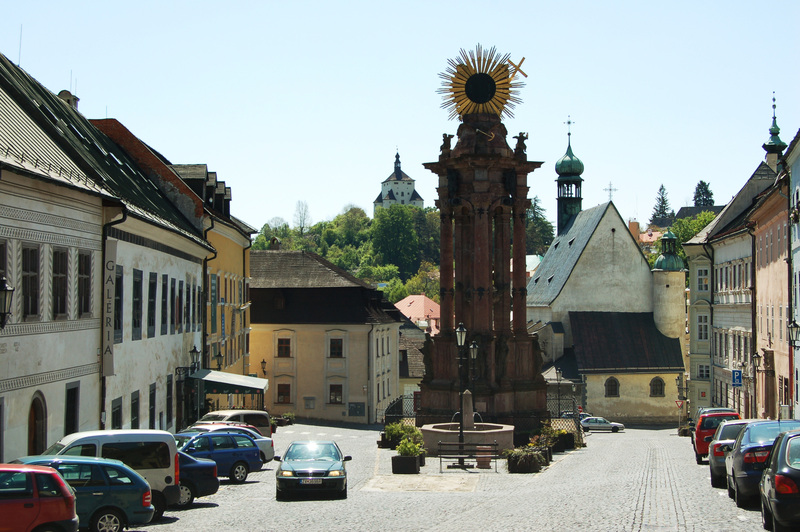 Banská Štiavnica – On the UNESCO World Heritage List, Banska Stiavnica is an old silver mining town. The historic city centre is very compact and easily walkable. Banska Stiavnica is a 3- or 4-hour bus ride (about 10 EUR) from Bratislava’s main bus station. Once in Banská Štiavnica hike the trail to the top of Sitno Hill. The red-signed trail starts at Radničné Square in Banska Stiavnica and takes you on a challenging hike to the top of Sitno where you will be afforded a beautiful 360-degree view of the area. The wooden stairs to the top were killer but the Slovaks, old and young alike, were doing it with ease. We brought plenty of picnic supplies for stops along the way and completed the hike in a mere five-and-a-half hours. 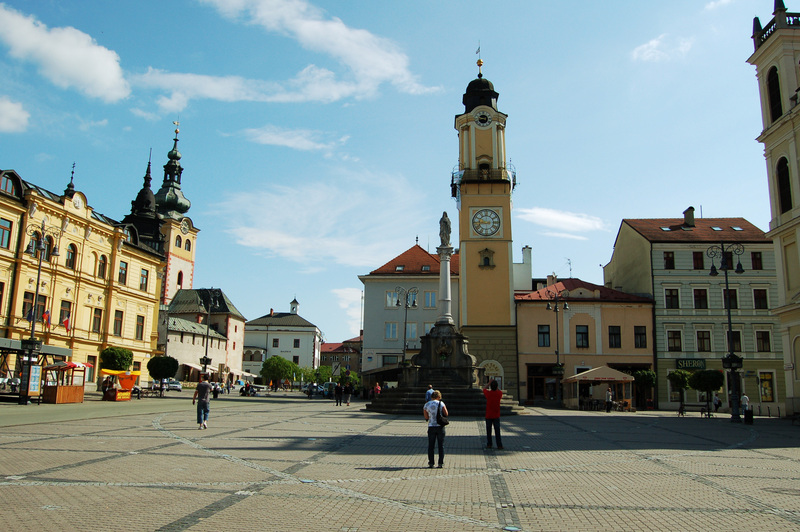 Banská Bystrica – Visit beautiful churches, ancient city walls, the Museum of Slovak National Uprising, climb the clock tower and enjoy the view (1 EUR), sit in the large square and enjoy a coffee in the sunshine. Take a bus or train, 3.5 hours, 10 EUR from Bratislava. Donovaly – From Banska Bystrica’s bus station it takes just 30 minutes and 1.80 EUR to get to Donovaly by bus. On the border of the Fatras and the Tatras, two of Slovakia’s national parks, Donovaly is a popular winter sport spot; but is equally popular in the summer for its hiking. 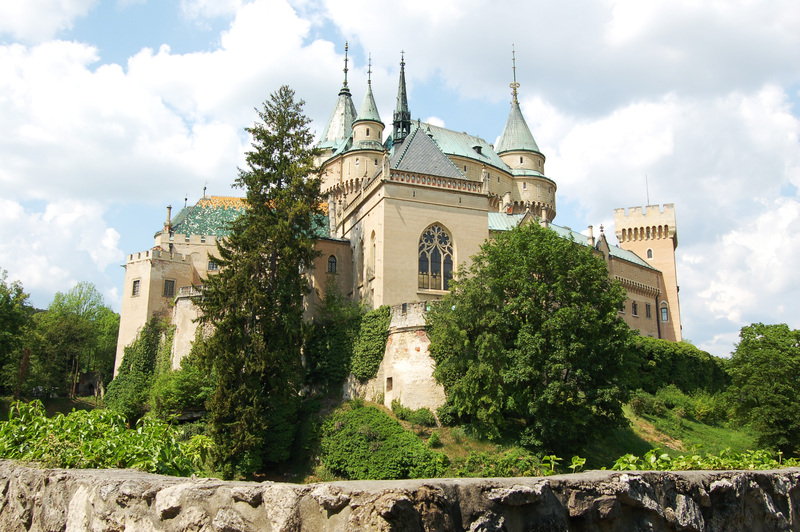 Bojnice Castle – Built in the 12th century, Slovakia’s most popular castle is every Disney princess’ dream. Day and night tours are available (5.70 EUR, 6.70 EUR respectively). Bojnice is also home to the annual International Festival of Ghosts and Spirits in May. From Bratislava it is about 3.5 hours, 8-12 EUR, bus or train/bus combination. From Banska Bystrica it is a 2-hour bus ride via the nearby town of Prievidza (5 EUR). Poprad – Poprad is the “gateway to the High Tatras”, so named for its access to hiking and skiing in the nearby mountains. Before you head out to the mountains, wander the city and its historic buildings while the snow-capped mountains loom in the background, and if you need to beat the heat take a dip at AquaCity water park. Find a reason to take a bus from Poprad and enjoy the bus station with the best view in Slovakia. Take a train from Bratislava’s main train station: 4-4.5 hours, 9-16 EUR. Slovak Paradise National Park or Slovensky Raj – A wonderful protected natural area where waterfalls, valleys, gorges, caves, and canyons abound. There are over 300 km of hiking trails which will have you crossing rivers and climbing waterfalls with ladders, chains, and bridges. Tackling any of the hikes in this park will be a highlight of your trip to Slovakia. Take a bus from Poprad to Dedinky, 1 hour, 2.10 EUR. 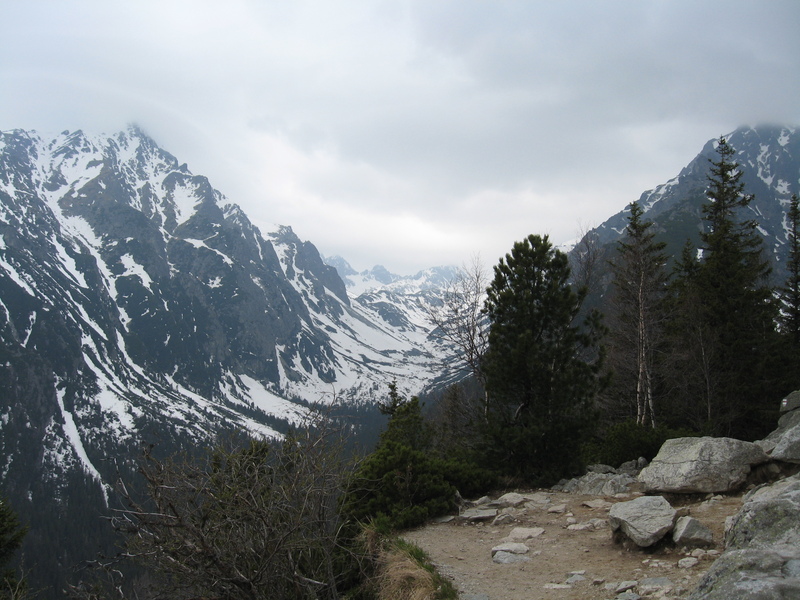 High Tatras – Stary Smokovec is a good starting point for any hiking or skiing you would like to do in the High Tatras. 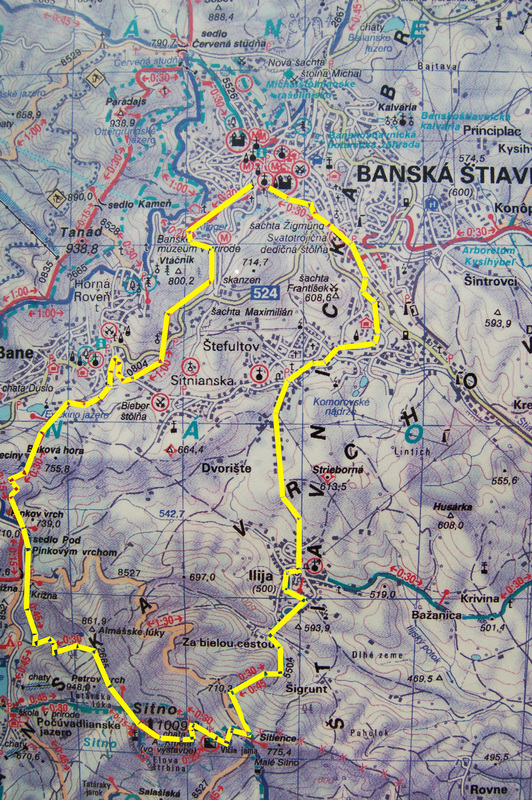 This website has tourist hiking maps of the High Tatras. Take a bus from Poprad to Stary Smokovec, 2o minutes, 0.85 EUR. Take the Tatra Electric Railway from Poprad to Stary Smokovec, 25 minutes, 1.50 EUR. Levoča – Another contender for most beautiful town in Slovakia, Levoca is a stepping stone to Spis castle, and home to the Cage of Shame. Take a bus from Poprad to Levoča (50 minutes, 1.60 EUR). 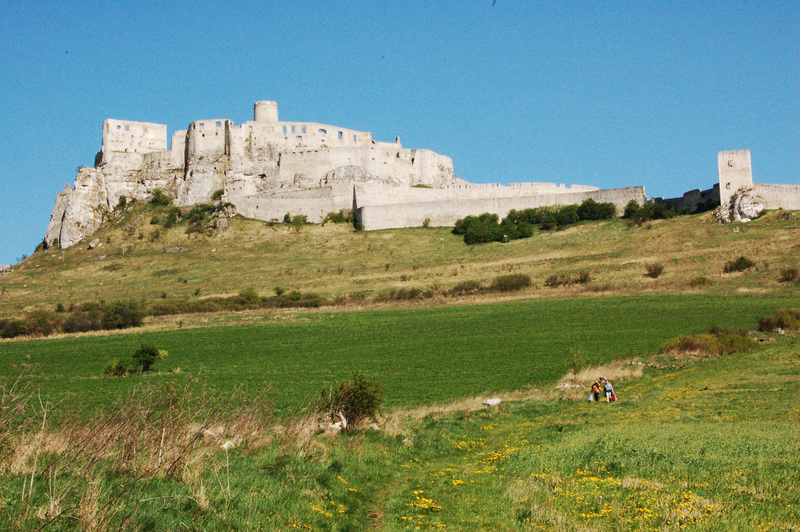 Spiš Castle or Spišský hrad – Spis castle is extremely impressive. The ruins lie 200 m above the nearby town of Spisske Pohradie; it is one of the biggest castles in Europe, and a UNESCO World Heritage Site (admission 5 EUR). Take a bus to Spišské Podhradie from Poprad (about 1 hour, 2.15 EUR) or Levoča (30 minutes, 1 EUR). Click here for more on Slovakia. This is really a nice and useful post on the Slovakia. 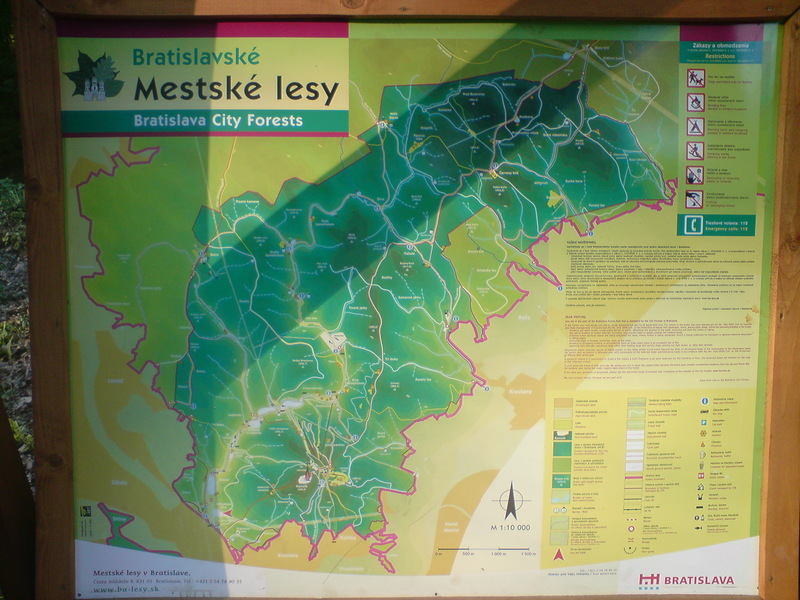 The information provided on different places to visit in the Slovakia is useful. Surely will bookmark. Can you please let us know the best time to visit these places? Thank you. I would say anytime between May and September. The temperature will probably be between 10 and 30 degrees celsius.